This page may contain other proprietary notices and copyright information, the terms of which must be observed and followed. 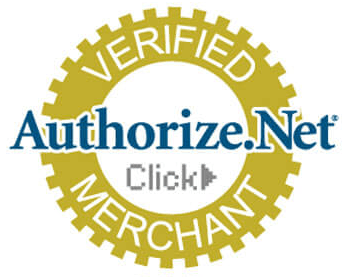 INFORMATION ON THIS WEBSITE IS PROVIDED "AS IS" WITHOUT WARRANTY OF ANY KIND, EITHER EXPRESS OR IMPLIED, INCLUDING, BUT NOT LIMITED TO, THE IMPLIED WARRANTIES OF MERCHANTABILITY, FITNESS FOR A PARTICULAR PURPOSE, OR NON-INFRINGEMENT. SOME JURISDICTIONS DO NOT ALLOW THE EXCLUSION OF IMPLIED WARRANTIES, SO THE ABOVE EXCLUSION MAY NOT APPLY TO YOU. Information on this website may contain technical inaccuracies or typographical errors. Information may be changed or updated without notice. SOLE Fitness may also make improvements and/or changes in the products and/or the programs described in this information at any time without notice. SOLE Fitness and Dyaco Canada Inc. do not want to receive confidential or proprietary information from you through our website. Please note that any information or material sent to SOLE Fitness or Dyaco Canada Inc. will be deemed NOT to be confidential. By sending SOLE Fitness, Dyaco Canada Inc., or solefitness.ca any information or material, you grant SOLE Fitness and Dyaco Canada Inc. an unrestricted, irrevocable license to use, reproduce, display, perform, modify, transmit and distribute those materials or information, and you also agree that SOLE Fitness and Dyaco Canada Inc. are free to use any ideas, concepts, know-how or techniques that you send us for any purpose. Information SOLE Fitness and Dyaco Canada Inc. publish on the World Wide Web may contain references or cross references to other products, programs and services that are not announced or available in your country. Such references do not imply that SOLE Fitness intends to announce such products, programs or services in your country. Consult a SOLE Fitness representative for information regarding the products, programs and services which may be available to you. SOLE Fitness and Dyaco Canada Inc. make no representations whatsoever about any other website which you may access through this one. When you access a non-Dyaco Canada Inc. website, please understand that it is independent from SOLE Fitness and Dyaco Canada Inc., and that SOLE Fitness and Dyaco Canada Inc. have no control over the content on that website. In addition, a link to a non-Dyaco Canada Inc. website does not mean that SOLE Fitness and Dyaco Canada Inc. endorse or accept any responsibility for the content or the use of such website. It is up to you to take precautions to ensure that whatever you select for your use is free of such items as viruses, worms, Trojan horses and other items of a destructive nature. IN NO EVENT WILL SOLE FITNESS OR DYACO CANDA INC. BE LIABLE TO ANY PARTY FOR ANY DIRECT, INDIRECT, SPECIAL OR OTHER CONSEQUENTIAL DAMAGES FOR ANY USE OF THIS WEBSITE, OR ON ANY OTHER HYPERLINKED WEBSITE, INCLUDING, WITHOUT LIMITATION, ANY LOST PROFITS, BUSINESS INTERRUPTION, LOSS OF PROGRAMS OR OTHER DATA ON YOUR INFORMATION HANDLING SYSTEM OR OTHERWISE, EVEN IF WE ARE EXPRESSLY ADVISED OF THE POSSIBILITY OF SUCH DAMAGES. All information contained within this website is the property of SOLE Fitness and Dyaco Canada Inc.